If you’ve changed, or plan to change jobs and must decide what to do with your 401(k) at your former employer, the easiest choices – cashing out or leaving your funds behind – are typically your worst options. Conversely, perhaps the best choice – consolidation in your new 401(k) – can be the most difficult, particularly if you opt to “do-it-yourself” (DIY). To avoid becoming a 401(k) DIY horror story, arm yourself with information and where available, seek expert education and assistance. For virtually everyone, a cashout is the worst DIY action that you can take. Unfortunately, for most participants – particularly those with small 401(k) balances – it’s also an easy and very tempting option, since it typically only requires completion of a simple distribution form. PRO TIP: Avoid the cashout completely. Unless you’re facing a true financial emergency, a cashout can wreak havoc on your retirement goals. You’ll end up paying taxes, penalties and lose the retirement income that could be generated later. To better understand the high cost of cashing out, visit our online Cash Out Calculator. Purely from a DIY perspective, leaving your 401(k) savings stranded in your former employer’s plan is very easy, since it requires no action during the initial job change. However, leaving your 401(k) behind can still result in headaches and bad outcomes down the road. Managing multiple 401(k) accounts will require more time and you’ll likely pay more in fees. If your balance is below $5,000, you may eventually be forced out of the plan via an automatic rollover into a safe harbor IRA. Miss out on notifications about important plan changes (ex. – investment options, new recordkeepers, mergers/acquisitions or a plan termination). Fail to receive mailed distribution checks, or to take required minimum distributions (RMDs) starting at 70-1/2 years of age. Forget that you had an account at all. PRO TIP: If you leave your savings in your former employer’s plan, make certain that you keep your address current. Open and read plan disclosures and perform an annual investment “check-up.” Finally, if your savings are less than $5,000, stay alert for any correspondence indicating that your account is subject to being forced out of the plan. Often, the best choice for many 401(k) participants is to consolidate a previous-employer’s 401(k) savings into an active 401(k) with the current employer. Consolidation can save you time and money by avoiding the pitfalls of having multiple retirement savings accounts. Fortunately, according to the PSCA’s 60th Annual Survey, 93.6 percent of plans accept rollover contributions (“roll-ins”) from other qualified plans. PRO TIP: Inquire with your current-employer’s HR Department to determine if your new 401(k) plan accepts roll-ins. If they do, they can likely provide you with additional information (forms, your new plan recordkeeper’s contact information, etc.). Fortunately for job-changing participants, more plans are beginning to offer a facilitated roll-in service, which offers end-to-end assistance for participants rolling in their retirement savings. Ideally, this service should have consolidation specialists who understand how to get the roll-in done quickly and efficiently and are supported by workflow technology that streamlines the process. 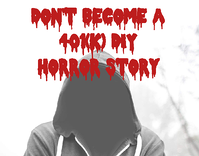 At Retirement Clearinghouse, we’ve been helping participants avoid 401(k) DIY “horror stories” for years. Our portability and consolidation programs offer education and assistance to help in-transition participants move their retirement savings forward, regardless of balance. Uniquely, our programs have been proven to reduce cashouts by over 50%, and we’ve recently introduced auto portability, which automatically moves small-balance retirement savings forward when participants change jobs.